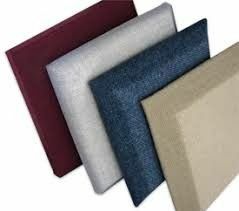 Fabric covered fiberglass wrapped acoustic panel is made of fiberglass and wrapped with fabric.Can be both fireproof and sound absorbing.Widely used for theater wall and ceiling sound absorbing. 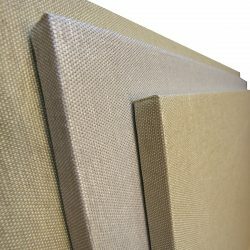 Fabric Wrapped Acoustic Panels are an aesthetically pleasing solution to your reverberant noise problems. 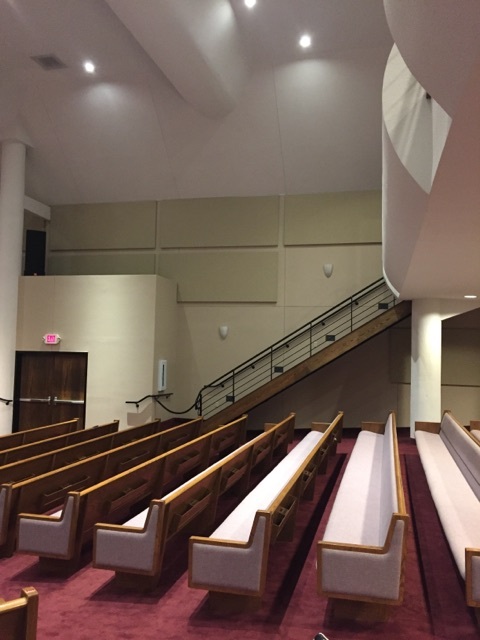 Also known as acoustical wall panels or acoustical clouds, these panels are typically 1″ – 2″ thick with a square or contoured chemically hardened edge and wrapped with a fire retardant fabric. The panels are mechanically hung on walls or ceilings in patterns or groupings that add to the rooms’ overall architecture. resin frame, plastic frame, wood-made frame, or Al-alloyed frame inside which is inflammable sound absorption cotton board, outside which is fireproofing sound absorption cloth. 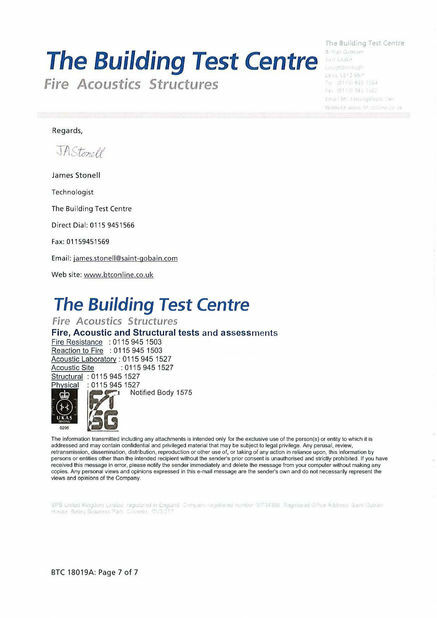 Standard sizes are 1200mm x 600mm and 600mm x 600mm. And the size can be customized. 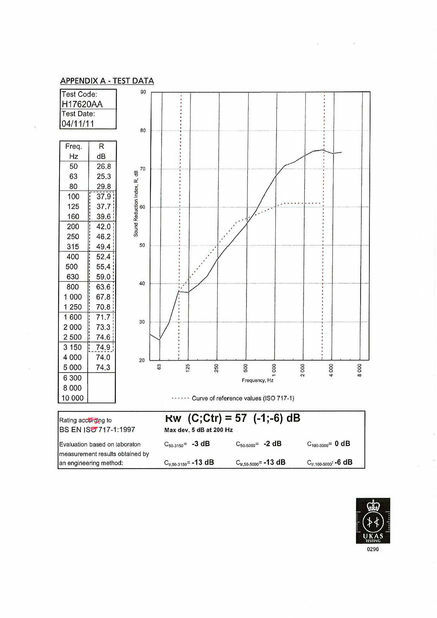 The standard thickness is 25mm. Can be made to be 15mm/50mm thickness. 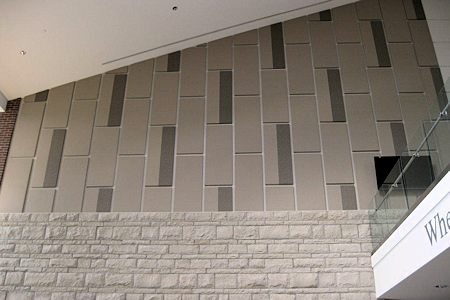 Fabric acoustic wrapped wall panel is flexible material for interior decoration. Its texture are soft, as well as the colors, so it can soften the overall atmosphere of the space, its deep depth also can upgrade the household. Besides goodlooking, it also has a flame retardant, sound-absorbing, sound insulation, moistureproof, mouldproof, antibacterial, waterproof, prevent oil, dustproof, anti-fouling, anti-static and anti-collision function. 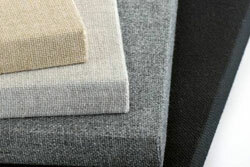 In the past, fabric acoustic panel mostly used in high-grade hotels, clubs, KTV and other places. Now, however, more and more high-grade residential, commercial housing, villas and terrace house use fabric acoustic panels for decoration.